UK pork producers are set to benefit from Taiwan opening its market to British exports for the first time. The UK government is suggesting the newly-signed agreement between the two countries could be worth more than GBP50m (US$64.3m) in trade terms over the next five years. 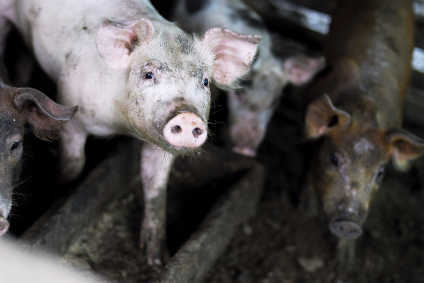 The deal also means UK exporters can further tap into the overseas demand for parts of the pig carcass that are not commonly purchased in the UK, such as offal. British exporters can take advantage of the market as soon as the administrative listing process is completed and export certification is made available. The deal was secured by the UK government, working with the Agriculture and Horticulture Development Board (AHDB) and UK Export Certification Partnership (UKECP). UK food minister George Eustice said: "Access to this new market in Taiwan is great news for our farmers and producers and gives a welcome boost to the pork production industry - already worth GBP1.3bn to the UK economy. "This is a significant development for pork exporters and reinforces our reputation for producing high-quality food and drink, guaranteeing quality from farm to fork." How can UK SMEs prepare for life after Brexit?